The Boys & Girls Clubs of Greater St. Louis is proud to announce its 2017 Alumni Hall of Honor Inductees! 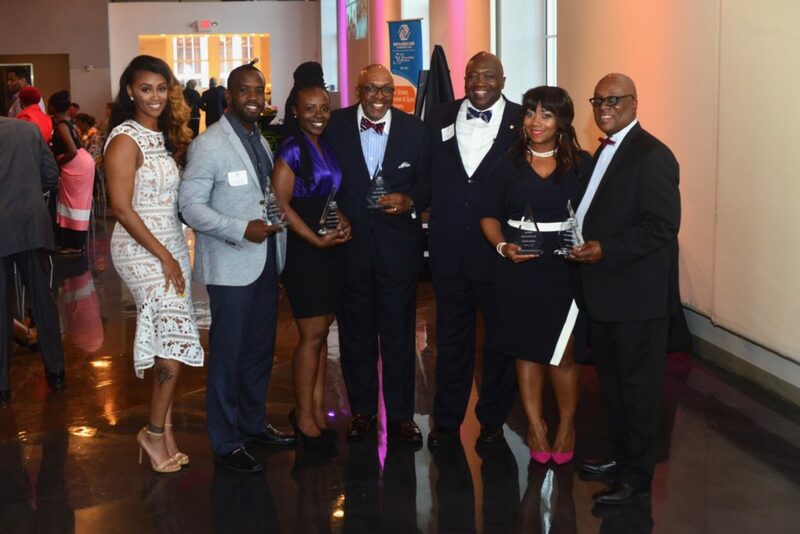 During the 2017 Annual Recognition event, where staff, board members, volunteers and other supporters are acknowledged and celebrated for their commitment to our Club children, Jerome Tomlin, Grace Conner, Lorenzo Baylor Sr., Susan Jones, Byron Price & Jordan “Shorty da Prince” Johnson were inducted into the Boys & Girls Clubs of Greater St. Louis Alumni Hall of Honor. The Hall of Honor recognizes outstanding alumni for achievements in their respective fields, commitment to leadership, serving our community’s youth, contributions to the St. Louis community and for living out the mission of the Club. All of the alumni inductees have lived out the mission of the Boys & Girls Club movement and displayed the impact the Club can have in a member’s life. Jerome Tomlin serves as a Virtual Design Coordinator at Paric Corporations; Grace Connor works as a teacher for Saint Louis Public Schools and is a seasonal staff member at the Club; Lorenzo Baylor Sr. works for Citibank as a Vice President in the mortgage banking industry; Susan Jones is the manager of Supplier Diversity at EMED Medical Company; Byron Price is a branch manager for US Bank; and, Jordan “Shorty da Prince” Johnson works for Radio One’s Hot 104.1 STL Weeknights 7p to Midnight. Rocki Jones (Past Alum Honoree), Jerome Tomlin, Grace Conner, Lorenzo Baylor Sr., Dr. Flint Fowler (BGCSTL President), Susan Jones & Byron Price – Jordan “Shorty da Prince” Johnson (not shown). The mission of the Boys & Girls Club of Greater St. Louis is to inspire and enable youth to realize their full potential as productive, responsible and caring citizens. The Clubs now serve St. Louis youth at ten locations (Adams Park Club, Ferguson Middle School Club, Grannemann Elementary School Club, Herbert Hoover Club, Lee Hamilton Elementary School Club, O’Fallon Park Club, Riverview Gardens Club and Hazelwood Southeast Middle School Club), within two High Schools (Normandy and Roosevelt High School) as well as five additional elementary schools through our Mentor St. Louis Program. The Clubs are open during hours that kids are most likely to need a safe place to go — after school and during summer. We are also a proud member of the United Way of Greater St. Louis.